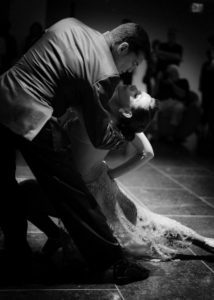 Here you will find a short bio of the Tango Masters participating at the DC Tango Weekend. Private appointments are limited and are taken in a first come first serve basis, book now! (click here!). Rosalia Gasso & Alejandro Barrientos. Are stars of the new Argentine Tango Masters generation. They have extensive experience as dancers, and teachers with great recognition in all tango festivals they have being working all over the world. Their classes translate their experience, and have become legendary for their clear style, highly effective instruction, and for being just plain fun with dynamic and organic techniques. They have a powerful, and sensual style created by the combination of their personalities with their essence, their love and passion for the culture, music, and poetry of Argentine tango that shines through any of their work in dance. are known for their beautiful, passionate performances and inspiring instruction. With a combined 52 years as dancers/teachers/artists they have dedicated their lives to artistic & technical perfection, and are honored to share their knowledge with students around the country. Marcia Mitchell hails from the Ballroom world and began dancing in 1998 when she enrolled in a social dance class at school. Marcia trained throughout the country before beginning her professional dance and teaching career in 2008. She competed professionally in American Smooth, is a certified “Master of Dance” from Dance Vision International Dance Association (DVIDA), and is a member of the National Dance Council of America (NDCA). Marcia owns a studio, Revolution Ballroom in Beaufort, South Carolina where she uses dance to transform lives and to connect people in a positive and uplifting way. In 2010, a friend introduced Marcia to Argentine Tango, and she was immediately enraptured by this beautiful dance. In 2018 Harby and Marcia formed a professional partnership, and they travel throughout the country to teach, perform, and to share their passion for Tango. Fabio Bonini teaching and performing tango for 20 years. Fabio has a great method of teaching and an enormous understanding of the Tango and its nuances. He breaks down this complex dance into easy and fun to learn components. He is considered one of the most versatile Argentine Tango coach in Washington, DC, metropolitan area because his unique knowledge and experience. Fabio has traveled all over the world with different dance companies teaching and performing, and nowadays is living in Virginia where he teaches regularly. He has worked with Quintango (Tango Quinted) as the main male dancer performing all over USA. Fabio teaches group classes and hosts ‘La Divina Milonga’, a monthly milonga (every 2nd Saturday) at Forever Dancing Ballroom in Falls Church. Fabio travels frequently to coach different growing Tango Communities in USA. Click here to see Video of Fabio and partner Jennifer dancing tango. 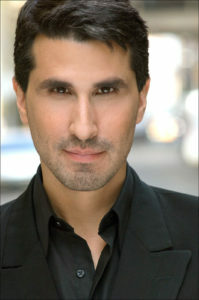 Eduardo Goytia will be DC Tango Weekend music director for the milongas and for the DC Tango Challenge. He is a well-known Tango instructor and performer based in New York City with over 20 years of teaching, performing and DJing experience. He was one of the original founders of the Pittsburgh Tangueros and helped develop the community of dancers in the Pittsburgh area before moving to NYC in 1999. 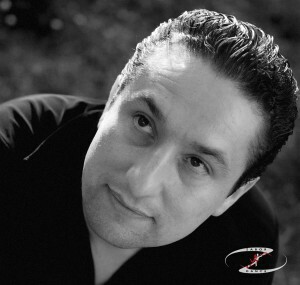 While he specializes in the Tango Salon style, Eduardo’s range of knowledge is broad and he teaches across a wide array of styles including Tango Salon, Tango Nuevo and Tango for stage. He is especially known for his musicality and for understanding how differently Tango Salon, Tango Confiteria, Milonga and Vals should be danced. Eduardo is recognized for his elegance and has appeared on some of New York finest stages including Lincoln Center, the Beacon Theater, Town Hall, Millenium Theater and the Hammerstein Ballroom as well as countless milongas and off-broadway stages. Eduardo has also appeared in several short films and documentaries and been featured on newscasts in Miami, New York, New Jersey, Pittsburgh and South Korea. In 2007 Eduardo became the US National Champion in Argentine Tango Salon with Cyrena Drusine. Together, they became one of the few American couples to ever make it to the finals of the World Championships in Buenos Aires, meeting with the US Ambassador to Argentina at the US Embassy and officially representing the USA in the championships. While he focuses on various special projects, Eduardo is currently teaching privately and as a guest teacher throughout NYC and abroad. Eduardo can be seen dancing regularly at milongas around the city as well as performing with various dancers on stage, in shows, on television and at special events. He also regularly DJs popular local milongas and events bringing together a vast collection of traditional and non-traditional tango music gleaned and curated with the help of some of the finest DJs of Buenos Aires milongas.